- Chu won the Nobel Prize in Physics in 1997, sharing it with two other physicists, Claude Cohen-Tannoudji and William D. Phillips. The trio won for their creation of a method to cool and trap atoms using laser light. - Before becoming Energy Secretary, Chu was the director of the Lawrence Berkeley National Laboratory, working on alternative energy and renewable energy technologies. He was also a professor of physics at the University of California. - As a teenager, Chu taught himself how to pole vault using bamboo poles he got from a local carpet store. - He's the first person to be appointed to the Cabinet after having won a Nobel Prize. Others have gone on from working as Cabinet members to win Nobel Prizes, but Chu was the first to win the award before working as a presidential adviser. - Chu is an advocate for alternative energy and nuclear power and also for moving away from fossil fuel dependency. 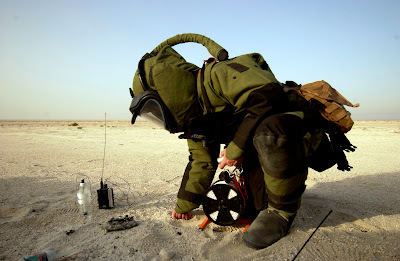 Improvised explosive devices (IEDs), otherwise known as roadside bombs, are hard to detect and are responsible for many of the casualties in both the Iraq and Afghanistan Wars as well as hundreds of thousands of deaths or serious injuries of both military and civilians each year. Detonating them remotely could save many lives. A team of doctoral students in Switzerland is using electromagnetic energy to do just that. Félix Vega and Nicolas Mora, PhD students at the École Polytechnique Fédérale de Lausanne (EPFL) Electromagnetic Compatibility Laboratory, developed a device that uses the energy from electromagnetic impulses to detonate IEDs remotely. Vega and Mora worked to find a current that could set off the IEDs' detonators from a distance even when they were buried deep in the ground. They also found a frequency range that applied to a variety of mine types that differ in their construction. To test their device the duo went to their homeland of Colombia where IED use is a real problem. Vega and Mora were able to explode actual improvised mines from an average range of 20 meters (65 feet). The mines had been created by professional bomb disposal experts. Vega and Mora are now working to develop a smaller device that is portable and weather resistant and could be used on small rural roads like those in Colombia. Their work was done with the cooperation of two Colombian universities: The National University of Colombia and the University of Los Andes. For more about their project, check out the press release at EurekAlert! Biologists are channeling astronomers to help them look at the brain? Looking at tofu: That's how Eric Betzig of the Howard Hughes Medial Institute (HHMI) in Ashburn, Va. described a close-up view of an eye. Trying to see deep tissue in an eye or even in a brain, he said, is like trying to see "a field of stars hidden behind a cloud." It's hard. But one technique, used by every major telescope on Earth, according to Betzig, could help doctors and biologists see deep tissues in the brain. It's called adaptive optics and it's what astronomers use to bring their cosmic snapshots into focus. 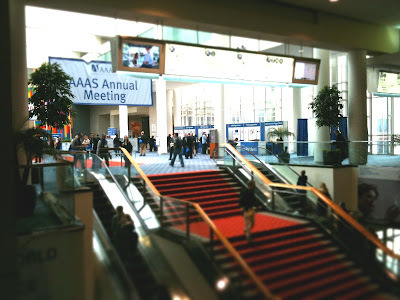 Betzig spoke in an early-morning session at the American Association for the Advancement of Science (AAAS) annual meeting today at the Washington Convention Center in Washington, D.C. When looking at stars and other celestial beasts, the vision of Earth-based telescopes is distorted by the atmosphere. To correct for this, astronomers shine a laser, like this one at NASA's Goddard Space Flight Center, up into the atmosphere, creating an artificial star. The astronomers measure the distortion affecting this artificial star and apply a correction to it. They then apply the same correction to the actual stars being measured, allowing them to capture the stars in high resolution -- a technique called adaptive optics. Without the technique, even the biggest and best telescope would have a resolution no better than a 50cm (about 20 inches) diameter telescope. The same resolution problem is encountered by scientists using microscopy to probe deep tissues in the brain. Taking inspiration from astronomers' creation of an artificial "guide" star, Betzig and his colleagues decided to use a fluorescent bead inserted into tissue as a sort of biological guide star. "Can we do this in living mice?" they asked. In their brains? To try it out, the researchers injected fluorescent beads into mice pups' brains before they were born using a dental drill. (Don't worry! They used anesthesia.) Once the pups were born, they were able to image the deep brain tissue. Correcting a fuzzy image using the implanted fluorescent beads takes about 10 to 25 seconds, Betzig said. And while telescopes have to correct themselves against their guide stars hundreds of times each second, the microscopy adaptive optics requires correction only once an hour. The researchers watched the neural activity in the brains of the mice as they watched T.V. Using adaptive optics with microscopy, Betzig said, gave them a chance to look at the functions of the brain with a very clear picture. When asked by an audience member where the technique could be used in the future, Betzig said an area that might be "really fun" is acoustics. "Like sonograms," he said. He remembered seeing sonograms of his baby before it was born 9 months ago and thinking, "That looks pretty crappy. Why can't we do better?" Why not? If there's anywhere to be inspired, it's at a AAAS meeting. I know it isn't Friday, but I have this Fermi problem that has been bugging me for the last 8 months. I thought that maybe if I wrote it down here I would at least feel better and maybe even get an answer. This past summer I was lucky enough to spend a week touring around Italy. Of course the first place I stopped was Rome. One of the neatest things about this city is that the modern is wonderfully mixed in with the old. 2000+ years of human history in 496.3 square miles. After getting off the train and meeting up with Agent Utah, we decided our first stop was some gelato. As we were walking I believe I said something along the lines of "Yeah, I just really want to sit and drink wine and eat gela... Holy ! *@$ that's the Colosseum!" We did go one to find both great food and great gelato. On our way home (after spending a good 45 minutes having some wine outside of the Pantheon before we realized what it was) we tripped across the Trevi Fountain. The saying goes that if you throw a coin in the fountain you will be ensured a return to Rome. There was even a movie made about it, though it was more about romance than travel. An estimated 3,000 Euros are thrown into the fountain each day. If this saying is true, what is going to happen to the number of people going on Roman Holidays? Rome had an estimated 8 million visitors in 2010, assumeing many of those people traded some now-wet Euros for the guarnetee of a return, what will the tourist population be like in 2050? 2100? I, for one, will be returning one day and throwing yet another coin into the fountain! I love toys, especially ones with a physics connection. Unfortunately, most toys that are advertised as science/physics toys seem to me to be disappointing. The best physics toys, in my opinion, are the ones that teach you a bit about physics without being all teachy about it. Riding a bike, for example, is really a lesson in applied physics. You may or may not ever try to understand what's going on from a physicist's point of view, but anyone who has learned to ride has probably completed a few tough lessons in the physics school of hard knocks. Time Magazine today published a list of the 100 greatest toys since 1923. I'm not sure what their criteria were, 'cause I skipped straight to the full list. But many of the toys seem like great ways to learn a bit about physics. My favorite physics toy - the boomerang - is notably absent. 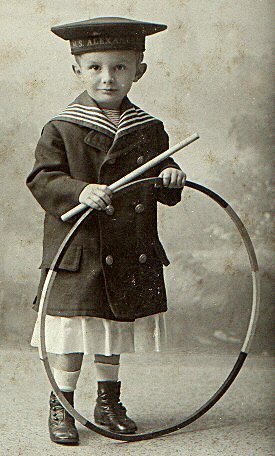 But I can tell you, hours of practice learning to throw and catch one of those things taught me a lot about gyroscopic motion, which came in very handy in my early physics classes in college. Of the toys on Time's list, these are the ones that I feel are the best physics toys, along with some of the topics they teach. I've listed them by the decade they were introduced, but you can still buy all of them today. This is at best a partial list of only my favorite toys, and the lessons I took from them. Let us know if we've left off one of your favorites. Well, Watson strutted his stuff last night, and he started out pretty strong. But as the questions got tougher, he showed some of his weaknesses with the nuances of the English language. Or did he? I have a colleague who thinks they "turned down" Watson's capabilities halfway through. What do you think? How will Watson behave tonight? Until then, here are the answers, or questions, rather, to yesterday's physics Jeopardy! clues of yore. Did you get them all right? A sound's repetition by reflection. What is AN ECHO? Detection of gamma rays was 1 of the uses for this 1947 instant picture taker. What is A POLAROID-LAND CAMERA? After length, width & depth, the 4th dimension. Negative particle that orbits an atom's nucleus. ($500) What is AN ELECTRON? 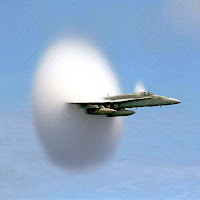 Shattering sound that accompanies breaking the sound barrier. What is A SONIC BOOM? What we call the flow of electrons through wire, air, or even yourself. What is ELECTRICITY? In light, 2 colors are said to be complementary if, when added together, they produce this color. What is WHITE? Though it holds our planet together, it's actually a much weaker force than electro-magnetism. What is GRAVITY? Invented in 1947 to improve electron microscope images, this science created a 3-D picture. 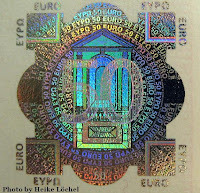 What is HOLOGRAPHY? Branch of physics dealing with motion, like the bumping of molecules in a gas. What is KINETICS? In the late 19th century, scientists postulated that this travels in waves through what they called luminiferous ether. What is LIGHT? A 1992 experiment using surface tension on polished silicon got water to defy physics by doing this. What is TO GO UP? The second law of thermodynamics says that this will of its own accord only move to a colder object. What is HEAT? When you press the nozzle of an aerosol can...the contents are pushed out by pressurized gas. The gas is called one of these, a general term for chemicals that create thrust. What is A PROPELLANT? Newton said the gravitational force between 2 objects is inversely related to the square of this measurement. What is THE DISTANCE BETWEEN THE 2 OBJECTS? Edward Lorenz' idea of linking this creature to changes in the weather became the basis of chaos theory. What is THE BUTTERFLY? Tonight is the first of three nights of epic Jeopardy! competition. Watson, IBM's artificial intelligence computer, who has spent the last seven years training for this week, will take on Jeopardy! champs Ken Jennings and Brad Rutter in a charity AI-human intelligence show-down. According to Slate, "Science" is among the top ten categories used in Jeopardy! over roughly the last 10 years. Thanks to the online Jeopardy! fan clue archive - J! Archive - here's a list of some of the physics-relation questions Jeopardy! guests have encountered over the last decade. Think you can get them all right? How about Watson? The answers will be posted tomorrow. These physics questions come from the following Jeopardy! categories: Ancient Science, Astronomy, Inventions, Physical Science, Physics, Science, Scientific Theories, The Solar System, and Water. A sound's repetition by reflection. Detection of gamma rays was 1 of the uses for this 1947 instant picture taker. Shattering sound that accompanies breaking the sound barrier. What we call the flow of electrons through wire, air, or even yourself. In light, 2 colors are said to be complementary if, when added together, they produce this color. Though it holds our planet together, it's actually a much weaker force than electro-magnetism. Invented in 1947 to improve electron microscope images, this science created a 3-D picture. Branch of physics dealing with motion, like the bumping of molecules in a gas. In the late 19th century, scientists postulated that this travels in waves through what they called luminiferous ether. A 1992 experiment using surface tension on polished silicon got water to defy physics by doing this. The second law of thermodynamics says that this will of its own accord only move to a colder object. When you press the nozzle of an aerosol can...the contents are pushed out by pressurized gas. The gas is called one of these, a general term for chemicals that create thrust. Newton said the gravitational force between 2 objects is inversely related to the square of this measurement. Edward Lorenz' idea of linking this creature to changes in the weather became the basis of chaos theory. Thomas Edison, developer of many modern devices like the phonograph, the motion picture camera and the electric light bulb, was born 164 years ago today, on Feb. 11, 1847. The American inventor holds over a thousand U.S. patents and his legacy is found everywhere, like in the New Jersey town named for him. Though he's often praised in American history, Edison is also surrounded with a darker history -- his relationship with inventor Nikola Tesla. Those who frequent Physics Buzz have seen posts, like this one, referencing the tension between the two inventors. A history of the skirmish was also the subject of one of APS' Physics Quest comic books -- Nikola Tesla and the Electric Fair -- which got me to thinking: What if Edison and Tesla actually had a throw-down? Who would win? To complete the Tesla v. Edison Mad Lib below, first, print out a copy of this post by going to File -> Print in your browser menu. (Or copy and paste the contents into a Word document and print from there.) Then, fill in the blanks at the top of the post with the appropriate parts of speech. Next, fill in the numbered blanks in the story with the words from the list at the top. Read out loud with friends and enjoy! (1) _______________ that will turn on Puppet Tesla's alternating current (AC) electrical system and make the 1893 World's Fair the first illuminated by electricity. Puppet Edison, Puppet Tesla 's former boss, had bid to light up the Fair with his own direct current (DC) electrical (2) _______________, but Puppet Tesla's design, including Puppet Tesla's own light bulbs, was chosen thanks to its lower cost. President Cleveland flipped the switch and, suddenly, everything was bright. Puppet Tesla's system was successful! (3) _______________!" Puppet Tesla shouted, heading off with friends to celebrate. (4) _______________ electricity can electrocute elephants." "Well if its war you want, then it's (5) _______________ you'll get," Puppet Tesla said. "I have never forgiven you for cheating me out of the $50,000 (6) _______________ you promised me for improving your direct current (7) _______________ !" With that, Puppet Tesla (8) _______________ Puppet Edison right in the bow tie. "Fisticuffs, fisticuffs!" bystanders shouted. Puppet Edison grabbed a light bulb and swung at Puppet Tesla's (9) _______________. 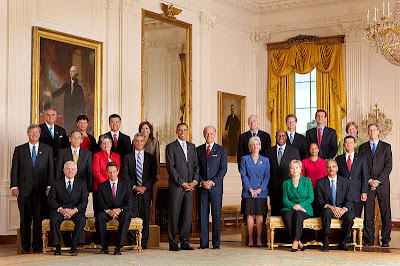 (11) _______________ inventors and heroes! The world needs both of your current (12) _______________!" "Alternating current is the way of the future!" Puppet Tesla shouted. "It's safer and more (13) _______________." Puppet Tesla took one of his own light bulbs and popped Puppet Edison on the head, knocking him onto the (14) _______________. "Take that, Puppet Edison!" Puppet Tesla shouted. "The average (15)_______________ may always remember your name, but the world will forever be powered by my (16) _______________ alternating current system!" The guys and gals at the International Bureau of Weights and Measure (BIPM)* have a problem: Their kilogram is shrinking. Well, it may be shrinking. It might also be growing. Either way, it appears to be changing. The problem is the world's only exact definition of a kilogram is a cylinder (made of platinum-iridium) that's under lock and key at the BIPM. It lives in a carefully-managed environment and has only been exposed to the world three times since its creation in 1889. 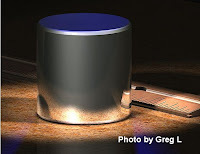 Copies of the original kilogram cylinder were made, and when the original was measured against a copy in 1989, the mass of the original was 50 micrograms less than the copy -- a difference about equal to the size of a grain of sand. Though it's a small difference, it could have big implications for scientists who rely on precision and accuracy. Luckily, a group of scientists on a mission are working to fix the problem, and they just announced big progress. There are seven "base" units in the International System of Units (SI), otherwise known as the metric system, including the meter (length), kilogram (mass), second (time), ampere (electric current), kelvin (temperature), candela (light intensity) and mole (amount of substance). Of the seven, the kilogram is the only one that is still fundamentally defined by a physical object. For example, the SI definition of a meter is "The length of the path travelled (sic) by light in vacuum during a time inter val of 1/299 792 458 of a second." This definition will always be true and testable no matter where you are. By contrast, the SI definition of kilogram is "The unit of mass; it is equal to the mass of the international prototype of the kilogram." Unless you had access to the prototype (and you don't), you couldn't measure an exact kilogram in your lab. A handful of scientists coordinated by the Physikalisch-Technische Bundesanstalt have worked to measure Avogadro's constant exactly. 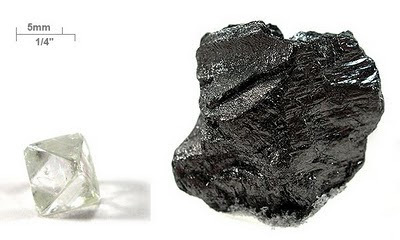 To do this, they created two 1 kg crystal spheres made of a silicon isotope, known as 28Si. They polished the spheres and tested their perfection. Unfortunately, they found some unexpected traces of cooper copper and nickel on the surface of the spheres possibly left over from the polishing phase. The spheres' level of contamination is slightly over the level of contamination acceptable for a new fixed measurement of Avogadro's constant. The spheres, however, mark significant progress in achieving exact measurements and once spheres with next to no contamination are made, they'll be one step closer. Combining an accurate way to measure Avogadro's constant with other constants could give the world an accurate way to define the kilogram forever. The paper describing the two spheres can be found in January's Physical Review Letters. 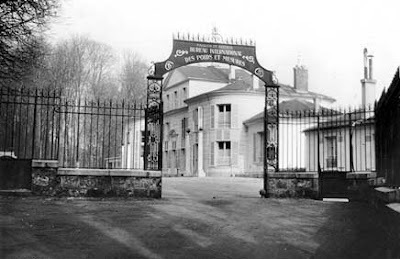 *Along with the International Bureau of Weights and Measures (BIPM), two other organizations were created to maintain the International System of Units. They are called the General Conference on Weights and Measures and the International Committee for Weights and Measures. The international prototype of kilogram that is shrinking is housed at the BIPM. A couple of friends and I went to the Steven F. Udvar-Hazy Center, part of the National Air & Space Museum near Dulles Airport, a few weeks ago. The museum is home to over 160 aircraft, almost as many spacecraft and missiles, and several thousand smaller aviation-related artifacts. What is perhaps most exciting object on display, though, is the one that greets visitors as they first enter the museum -- the SR-71 Blackbird. The three of us were particularly struck with the Blackbird. It's not surprising since the plane is the museum's centerpiece, with the pearly white Enterprise peering over its shoulder from the next room. The Blackbird was developed by Lockheed Martin's division for secretive projects called Skunk Works. It was designed to replace another stealth aircraft developed by Lockheed Martin's Skunk Works -- the U-2 . The U-2 was created as a high-altitude reconnaissance aircraft (a spy plane) but it was not capable of flying supersonically, or faster than the speed of sound, making it vulnerable to anti-aircraft weapons. The Blackbird can fly above 82,000 ft. (15 and a half miles) and up to speeds of Mach 3.2, or around 2,400 mph. Developing a high-flying, supersonic airplane came with one giant problem: Heat. As a supersonic airplane flies faster and faster, the friction from air ramming it results in a lot of heat building up around the airplane. To keep it flying functionally, the designers had to find clever ways to keep the Blackbird cool. A special fuel that was stable at high temperatures was developed for the Blackbird. According to the SR-71 manual, the fuel was used both as energy for the engine and also as engine hydraulic fluid - fluid used to power certain engine components. When the airplane was traveling supersonically, the fuel was also used as part of a heat sink. A heat sink is a device that uses a fluid to wick away heat from a solid object. The Blackbird's manual states that without that heat sinking capability, parts of the airplane and its engines would overheat at high Mach speeds. Though the airplane was designed to be stealthy, it was fairly easy to detect on radar thanks to the large amount of heat coming out of its engines when it traveled at high speeds. According to GlobalSecurity.org, the Federal Aviation Administration could track the Blackbird from several hundred miles away by detecting the airplane's exhaust. The Blackbird had another quirky heat-thwarting feature: It leaked fuel. According to Lockheed Martin, 93 percent of the airplane is made of titanium alloy. Titanium expands as it is heated. To keep the airplane from crunching up like a soda can when it was flying at high speeds, the designers left gaps between its body panels. Consequently, fuel, stored in the airplane's body, leaked out onto the runway before take off. 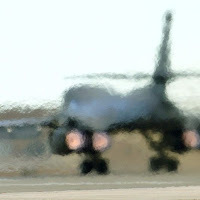 Once airborne and warmed up by friction, the titanium would expand, the gaps would seal and the Blackbird would be refueled before leaving on its mission. Skunk Works improved upon the Blackbird when it created the F-117 Nighthawk, their first truly stealth airplane. They also collaborated with Boeing to develop the more conventional-looking F-22 Raptor stealth fighter. And who knows what else is up Skunk Works' sleeve these days. Regardless of what it is, I doubt it could ever have the unique personality of its early predecessor - the SR-71 Blackbird. What do you do when you want to measure the distance of a nearby star and there are no computers, no spacecraft and no power plants to generate electricity? Well, what Friedrich Wilhelm Bessel did in 1838 was use trigonometry and the parallax effect to calculate the distance of a star based on the distance from the Earth to the Sun. 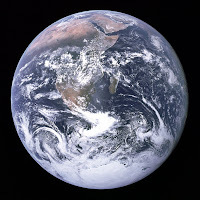 The Earth averages a distance (radius) of 92,955,807.27 miles or 149,597,870.7 km from the Sun. That distance - the length from the Earth's center to the Sun's center - is known as an "astronomical unit" or AU. One AU is one trip from the center of the Earth to the center of the Sun. Astronomers took (and still take) advantage of this distance to help them measure how far away stars are from the Earth. To measure the distance, astronomers note the location of a star on one date - say Feb. 8. Half a year later, when the Earth is at the opposite point in its orbit (on the other side of the Sun), Aug. 9 in this case, the astronomer notes the star's location again. Because the Earth has moved, the position of the far away star relative to the blanket of stars behind it also appears to move. This movement is called "parallax." To understand how parallax works, stand at one end of the room, facing a poster on an opposite wall. Hold a pencil out in front of you at arms length and at eye level. Note what point on the poster is being covered by the pencil. Now close your left eye, keeping your right eye open. Next, close your right eye and keep your left eye open. Does the pen appear to move relative to the poster behind it? It should. That apparent movement is called parallax. Imagine that your left eye is the Earth on one side of the Sun and your right eye is the Earth at the opposite point in its orbit, on the other side of the Sun. The pen is the star being studied and the poster is the trillions of stars beyond. Since astronomers know the distance between the Earth and the Sun, they can draw a triangle, with the Earth-Sun distance at its base, to measure how far away an object is. This technique is known as "triangulation" and is also used in navigation. After they figured out how to use triangulation to measure the distances of stars, astronomers needed a unit to describe the distances of far-away objects. It take way too many feet, miles or kilometers to describe that kind of a distance. By 1913, astronomers had developed the unit, but needed a name. Astronomer Herbert Hall Turner came up with the term "parsec" which stands for the 'parallax of one arc second'. The parsec was created so that astronomers had a handy astronomical unit. Its distance depends on the distance from the Earth to the Sun and also the divisions of a circle. Let's pretend there is a star in the sky whose parallax (apparent movement) was the same width as one arc second. Now, let's draw a right triangle with the Earth-Sun distance as its base and this star as its top point. Lets put a mirror image of the triangle on top. The angle of the triangle originating from the star would be the parallax -- one arc second. Through the rules of trigonometry, we can then figure out the length from the Sun to that imaginary star. That length is a parsec -- roughly 19 trillion miles or 31 trillion kilometers. It's 206,265 AU (or over 200,000 times the distance from the Earth to the Sun) -- almost 3.3 light-years long. To appreciate how far a parsec is and how tiny an arc second is, think about an archery target. 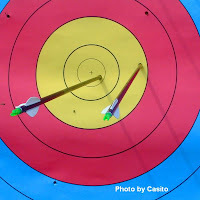 A regulation outdoor archery t arget is 80 cm across. The two lines of the tiny 'X' at the center of the target are each 4 mm (0.4 cm) long. If the parallax of one line was 4 mm, then the corresponding 'parsec' length would be just over a half mile -- 2,706 ft or 825 m.
Today, astronomers and astrophysicists still use the parsec as a celestial unit of measurement. They also use the light-year, a unit defined as the distance light travels in a vacuum in one Julian year...but that's an explanation for another day. Let's get back to Han Solo and the Millennium Falcon. The Falcon would have made the Kessel run in some unit of time (10 minutes) and not a unit of distance. Water doesn't freeze at 32 furlongs, it freezes at 32 degrees Fahrenheit. So, even though the Millennium Falcon can't do anything in 12 parsecs, at least Han Solo's smile can still be 12 parsecs wide. If you're a Packers fan, then last night was "a good night" for you. Regardless of what team you pulled for, if you're a fan of LEDs, then last night was definitely a good night -- no matter how you felt about the halftime singing. The Black Eyed Peas, Slash and Usher all performed during the Super Bowl XLV (45, for you non-Romans) halftime show. The real halftime stars weren't the mega-musicians though, but instead the LED-clad backup dancers. The dancers wore pale suits with what look like LED ribbons running vertically down their costumes. The lights alternated between green, white and red. It looks like they were controlled by switches on a utility belt worn by the dancers. In the last few seconds of the video, you can see two block-head dancers manipulating the controls to make their suits flash in different colors. The dancers formed DDR-style arrows on the field and assembled as giant red hearts during the Black Eyed Peas song "Where is the Love?" LEDs are ideal for illuminating costumes because they're very sturdy and they don't produce much heat. Ordinary household light bulbs are very fragile and get quite hot. An incandescent bulb lights up when electricity runs through its filament until the filament is hot enough to glow. Anyone who has touched a light bulb that has been on for a few hours knows how hot they can get. LEDs, by contrast, light up when electricity runs through a diode, exciting atoms until they produce photons, or particles of light. 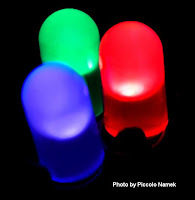 Unlike conventional bulbs, LEDs can emit light of different colors. About two decades ago, a woman named Gertrude Neumark Rothschild filed a patent for "Wide Band-Gap Semiconductors Having Low Bipolar Resistivity and Method of Formation," after she helped improve upon LEDs. Her improvements helped the development of LEDs eventually used in electronics like cell phones and flat-screen TVs. A handful of major electronics companies used her patented information without giving her credit. In 2005, she took several of them to court and settled cases against them. Buoyed by that success, she filed more complaints against more major companies and settled with many of them. By late 2009, she had settled for almost $27 million for multiple patent violations. Friends, according to the Chronicle of Higher Education, said that for Rothschild, it was never about the money, but instead about fairness. How about that for an LED star? Inspired? Make your own LED suit! The announcement came from NASA today that Mark Kelly will indeed be commander of the last scheduled Space Shuttle mission, STS-134.There was some doubt about whether or not Kelly would be able to continue training for NASA's final shuttle mission after his wife, Congresswoman Gabrielle Giffords, was shot and critically injured during the 2011 Tucson Shootings on Jan. 8. Kelly has been on leave from the rigorous pre-launch training schedule for the last few weeks to take care of his wife. 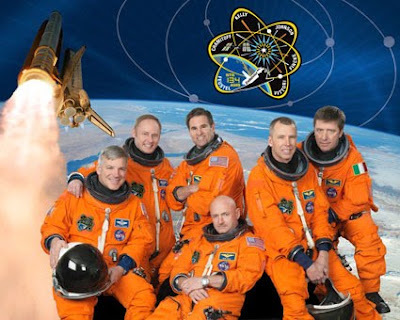 "I am looking forward to rejoining my STS-134 crew members and finishing our training for the mission," Kelly said in the NASA press release. "We have been preparing for more than 18 months, and we will be ready to deliver the Alpha Magnetic Spectrometer (AMS) to the International Space Station and complete the other objectives of the flight. I appreciate the confidence that my NASA management has in me and the rest of my space shuttle crew." "Experimental evidence indicates that our Galaxy is made of matter; however, there are more than 100 hundred million galaxies in the universe and the Big Bang theory of the origin of the universe requires equal amounts of matter and antimatter. Theories that explain this apparent asymmetry violate other measurements. Whether or not there is significant antimatter is one of the fundamental questions of the origin and nature of the universe." 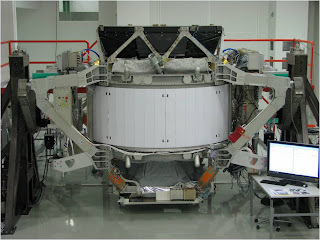 The AMS uses a large magnet to make a strong magnetic field that is used to bend the path of charged particles coming from space as they go through several detectors. The detectors measure the particles' speed, charge and velocity among other things. The AMS' operators hope to use it to take cosmic measurements for at least three full years. Getting good data about cosmic radiation, including how much is blasted across space and where it's coming from, will be essential if we ever want to send astronauts on long-journey missions, like to Mars and beyond. After three years, the AMS scientists hope to have learned enough about cosmic radiation to understand what humans will need to be protected from should they travel to Mars. The 134th Space Shuttle launch is currently scheduled to blast off from Cape Canaveral on April 19. The crew will mount the Alpha Magnetic Spectrometer (AMS) to the International Space Station (ISS) during a spacewalk on the 14-day mission aboard Endeavour. PhysicsBuzz wishes good luck to Astronaut Kelly as he returns to training and a smooth recovery to Congresswoman Giffords. Adding cornstarch to mud leads to improved 'top kill' alternative. Call it better drilling through chemistry. 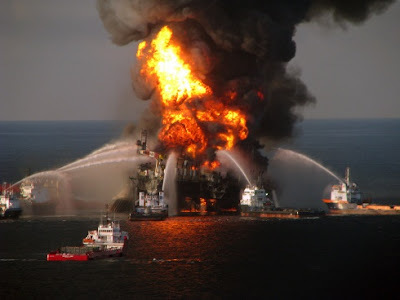 The uncontrollable flood of oil into the Gulf of Mexico during last year's Deepwater Horizon disaster clearly illustrated that knowing how to stop the flow of oil when something goes wrong is an important part of the oil extraction business. 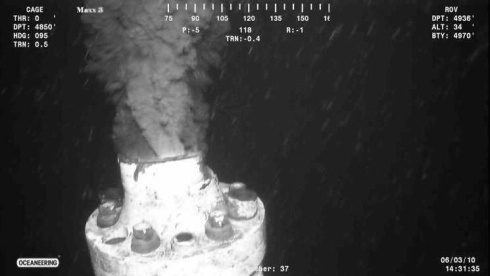 New research shows that one of the leading methods for "killing" an undersea petroleum leak can be greatly improved not by altering heavy machinery, but by the use of a simple chemical ingredient: cornstarch. Chefs use cornstarch to thicken sauces. Jonathan Katz, a scientist at Washington University in St. Louis, said that cornstarch can also help to thicken the material shoved down errant pipelines to stop leaks. In the "top kill" approach, mud -- a suspension of minerals and other chemicals in water or oil -- is injected into the leaking well, the goal being to plug up the well and keep further oil from entering it and flowing to the surface. In the Gulf disaster last summer, this method failed largely because the outgoing stream of oil broke up the incoming stream of mud into small blobs that were swept out with the escaping oil, defeating the purpose of using the mud to form a solid plug. Mud and oil are two forms of fluids. Whenever two fluids flow past one another, instabilities can start up. Wind blowing on the ocean -- another example of two fluids flowing past one another -- sets up waves on the surface of the water. Gravity, pulling downwards, helps to control the waves. However, this process doesn't work in a vertical well where the oil stream buffets and breaks the mud into blobs, which are ineffective at stopping the oil. In small-scale experiments in a lab, Katz added cornstarch to a surrogate mud. This provided just the right amount of binding needed for the job. The resulting mud still flows but holds together to provide the necessary seal for the well. The secret is to be viscous or elastic when the oil flow is rapid. Katz was part of a team of scientists who were consulted by Energy Secretary Steven Chu during the oil leak crisis. At that time, Katz predicted that the efforts then underway by BP and other recovery companies to plug the leak would fail. Later Katz did his cornstarch experiments in response. 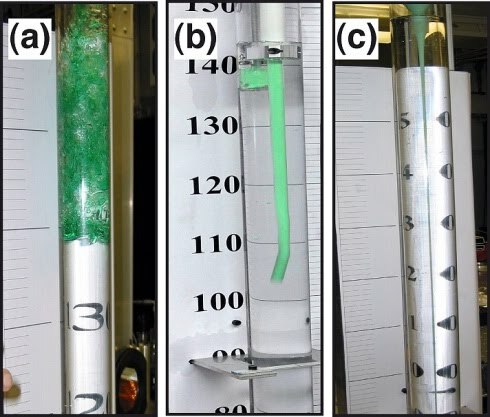 Katz believes that the addition of cornstarch or an equivalent material can be scaled up to the level needed to kill a major oil leak. 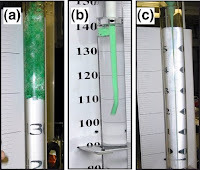 Timothy J. Crone, a professor at Columbia University's Lamont Doherty Earth Observatory in Palisades, N.Y., agrees that cornstarch mixed with water forms a thick material that can stiffen while being deformed. He believes that the use of that kind of material to prevent unwanted mixing of the ingoing and outgoing fluids in the well during a top-kill attempt "is indeed plausible and quite interesting." "My question would be, during a top kill operation, whether the oil flow must be stopped in one slug as the mud and oil is pushed downward, or can a top kill work by filling the well with a viscoelastic mud from the bottom up?" Crone asked. Even if mixing occurs at the bottom of the well, Crone suspected that sufficient mud might eventually stop the leak. Katz, who will be publishing his results in the journal Physical Review Letters, has not yet heard from any oil company interested in his results. 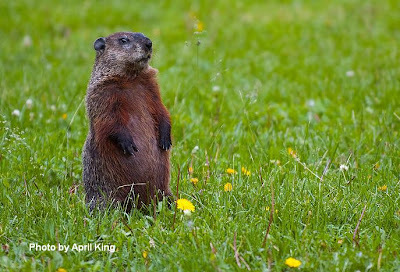 Punxsutawney Phil: The immortal prophet of spring's annual arrival. Though I question Phil's meteorological expertise, I can't help hoping he is right. He didn't see his shadow this morning, and according to legend, that means we'll have an early spring. Though I can't explain the shadow thing, I'll take it. So, Phil didn't see his shadow. That must mean it was overcast in Punxsutawney, Pa., this morning. To me that says more nasty winter weather is due - now. In fact, it was cloudy and cold in Punxsutawney this morning. So, I ask, how do those weather conditions foretell of an early spring? It seems to me like if it were bright and sunny, and Phil saw his shadow, that would be an indication that spring is on its way. No one can explain to me how the weather on this day has anything to do with the weather over the next few weeks. But traditions are traditions. And some aren't so bad. 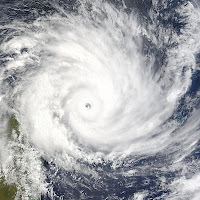 Weather in the Northern Hemisphere typically moves from west to east, due to the rotation of the Earth. Red clouds appear in the sky when the sun is setting or rising, illuminating clouds from below. The clouds appear red because sunlight travels through more of our atmosphere when it is near the horizon and all colors of the visible spectrum are filtered out except for red. The red wavelengths of visible light are the longest, purple and blue the shortest. When sunlight travels through the atmosphere, it is scattered by small particles in the atmosphere. The shorter wavelengths, purple, blue and green, are scattered first, with longer wavelengths last. At midday, when the sun shines straight through a small amount of atmosphere, only the shortest wavelengths are scattered. We see the resulting combination of scattered light as a blue hue. At dawn and dusk, however, sunlight travels through the atmosphere at a low angle encountering more small particle s that scatter light. By the time the sun is near the horizon, most everything except for red light is being scattered and we see red sunsets. This filtering of light is known as Rayleigh scattering. If red clouds are seen in the morning, the sun rising in the east is illuminating clouds in the west. Since the clouds are moving from west to east, stormy weather is due. 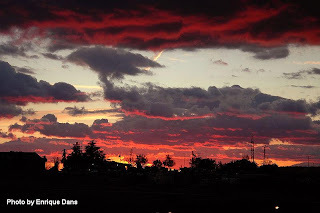 If, however, red clouds appear at night, the sun setting in the west is illuminating clouds in the east, clouds that have already passed through. Here's another variation on the red sky saying: "Evening red and morning gray speed the traveler on his way. Evening gray and morning red bring down rain upon his head." High pressure systems contain cool, dry air that is denser than the warm, moist air found in a low pressure system. For that reason, the dense air in a high pressure area sinks. Clouds form when warm air ri ses, becomes full of moisture and congregates to form clouds and sometimes thunderstorms. As long as the air is sinking, clouds are prohibited from forming. Additionally, the atmosphere is always trying to equalize itself to one pressure. (It can't because the sun is constantly warming parts of the Earth, making new warm air.) In its efforts, the cool, dense air flows from the area of high pressure to a neighboring area of low pressure. This airflow is felt as wind. So, if things are still, you're likely in an area of high pressure where no wind or storm clouds are blowing and the weather is nice. The sharper the blast, the sooner it's past. There's no special trick to this one. This just has to do with distance. Thunder is the sound made when a lightning strike occurs. The louder the thunder, the closer it is since sounds diminish over distances. If the thunder is very loud, then the cloud making lightning is very close. Since most storms are isolated, being at the heart of the storm - where the most lightning is forming - means the worst will soon pass and clear skies will follow. For more about Punxsutawney Phil seeing his shadow, check out this Physics Central Groundhog Day Physics in Pictures. "You've lost that lovin' feelin'*, whoa that lovin' feelin'. You've lost that lovin' feelin', now it's gone, gone, gone, whoa..." Apparently China's state broadcaster, China Central Television (CCTV), lost that lovin' feeling last week when it allegedly lifted part of the 1986 movie "Top Gun" for a military promotional video that aired nation-wide in China. Thanks the wonders of the Internet, it wasn't long before someone noticed the similarities between the CCTV video and the 1980s flick. The Wall Street Journal (WSJ) put out the video above, comparing the original movie footage and the Chinese military training video. CCTV, according to the WSJ, hasn't yet made any comments about the coincidence. But who can blame the Chinese? According to the Top Gun Wikipedia page, the number of men who joined the Navy with hopes of becoming Naval Aviators increased by 500 percent after the movie premiered. Q. What is a "hard deck"? Answer: Maverick got in trouble in one of his Top Gun training exercises for flying below the hard deck to take a shot at the enemy. What to me sounds like an ominous horizontal wall is actually just a term for the lowest altitude at which pilots agree to mock dogfight duri ng flight training exercises. According to the website www.tailhook.org, the minimum altitude for Top Gun pilots in the early days was 10,000 ft. AGL. Geek Out Info: You might ask, what is 10,000 ft. AGL? Altitudes are measured in a handful of ways. One measure of altitude is an airplane's height above ground level, or AGL. This differs from a plane's true altitude which is a measure of the plane's height above mean (average) sea level (MSL). Airplanes altimeters (instruments that display height) measure their altitude based on air pressure. Since air pressure decreases uniformly with height, a known decrease in pressure is associated with a certain altitude. Since the air pressure at the ground is not always the same (it varies thanks to the weather), pilots always correct their altimeters for the current pressure at the airfield before taking off. If, after being corrected, the altimeter displays the known height above sea level for that airport (125 feet, for example, at the Los Angeles International Airport), the pilot knows that the altimeter is working properly. Q. During one of his training dog fights at Top Gun, Maverick uses the brakes on his airplane to cause the plane chasing him to fly right by. How do brakes work on an airplane? Airplanes have a variety of air brakes that increase drag and help them to slow down. Air brakes are easily seen on the tops of commercial aircraft wings during landing. They look a lot like flaps, except they are on top of the wings, "standing" nearly perpendicular to the wing. As you can imagine, having a sail-like object going against the wind on the top of a wing helps to slow an airplane as it rolls down the runway. The rear spoiler on the Bugatti Veyron tilts to a 55 degree angle to help stop the car when its driver applies the brakes anytime the car is traveling faster than 200 mph. Q. Why do the wings on an F-14 Tomcat move? Technically, the wings o n the F-14 are called "variable-sweep wings." When the fighter takes off, the wings are swept back only a little and the plane looks like most other aircraft. Having the wings at nearly a right angle to the aircraft helps it to get more lift -- something necessary during take-off and landing. The F-14's wings are swept back when it travels supersonically. The delta-shaped wing configuration common to many supersonic aircraft reduces drag, helping the plane to travel at high speeds more efficiently. At fast speeds, thrust from the engine is more important that lift from the wings, so moving the wings back out of the way helps the plane move quickly. Though the F-14 is one genuinely cool plane, it no longer flies off and on aircraft carriers. The U.S. Navy replaced F-14s with the F/A-18 Superhornet in 2006. Q. Why did Maverick and Goose have to eject from their airplane when it entered a spin? Can't airplanes get out of spins? Yes, airplanes can get out of some spins, but not all. The type of spin Maverick's plane entered is called a "flat spin." During a flat spin, the airplane is directly parallel to the ground -- it's nose is pointed almost directly at the horizon. A plane can get into a flat spin if it's weight is not distributed properly, changing its center of gravity until it no longer flies correctly. In a flat spin, air is not flowing over the airplane as it is expected. The airplane's controls no longer work effectively and cannot steer the airplane out of a spin. Because airplanes get "stuck" in flat spins, pilots often have little choice but to eject as Maverick and Goose did in the movie. If, however, a plane is in a spin while its nose is pointed up or down, a properly trained pilot should be able to recover from the spin. Geek Out Info: In most spin situations in small aircraft, the pilot usually follows the 'PARE' method of escaping a spin. First, he or she brings the 'P'ower to idle, moves the 'A'ilerons (the flap-like things at the ends of the wings that make a plane roll) to neutral to stop the plane from rolling wing over wing, applies the opposite 'R'udder to the direction of the spin (if the plane is spinning left, the pilot steps on the right rudder) and moves the 'E'levator (which controls pitch up and down) to neutral. This technique stabilizes the airplane so that the pilot can regain control.